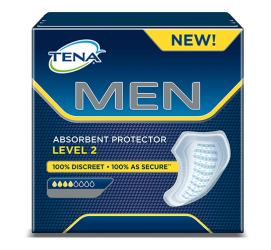 When it comes to offering men protection against medium urine leakage and male incontinence, healthcare professionals recommend TENA Men Absorbent Protector Level 2. 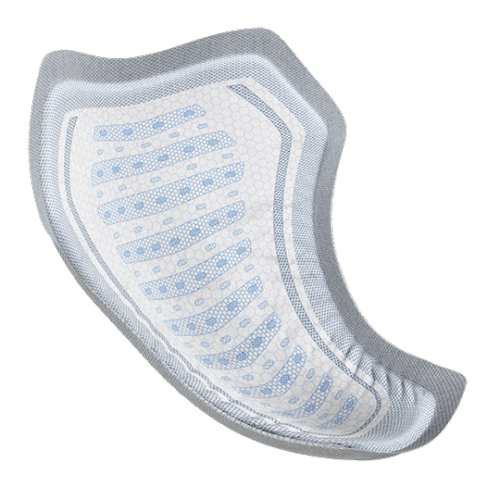 Its absorbent core with boosted Secure Absorption Zone for leakage security locks in odours and moisture while its now much thinner design and masculine, cup-shaped form ensures it sits securely in the underwear. 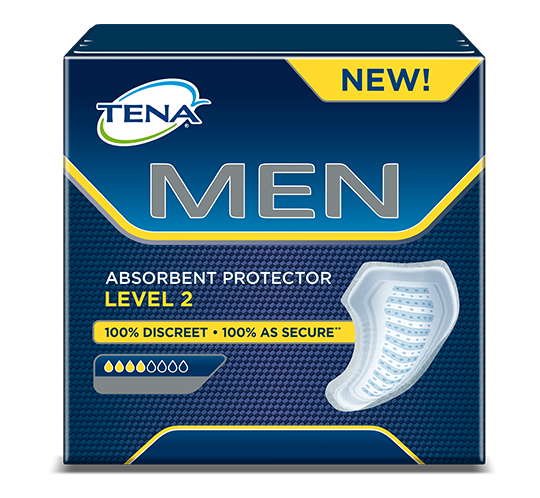 Choose the solution preferred by millions of men of all ages - TENA Men Absorbent Protector Level 2. 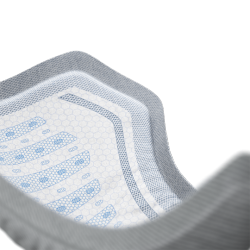 Keeps you dry and protects against leaks thanks to boosted secure zone that locks in liquid efficiently. 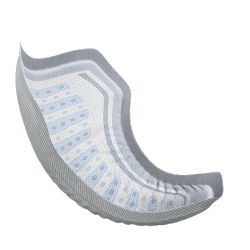 New masculine outer contour shape, soft side elastics creating a snug and secure fit and a cup shape making the protector discreet and comfortable to wear. 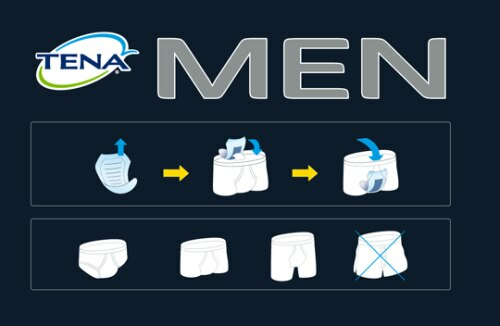 TENA Men Protectors are easy to use. 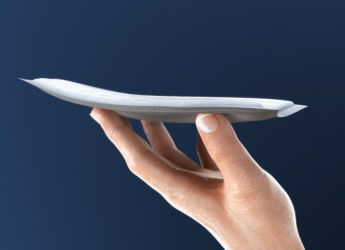 Unwrap the product and remove the release paper. 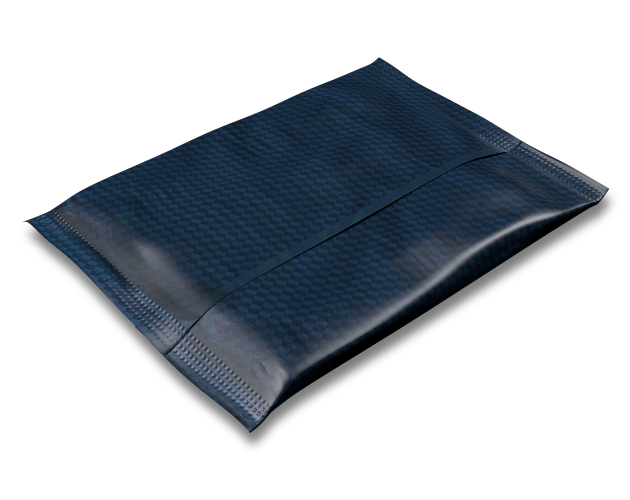 Place the adhesive strip down and secure the product in tight fitting underwear. Adjust for perfect fit. Dispose the product in a waste bin. Do not flush it down the toilet.